Welcome to the Minnesota Curling Association, an organization of over 5,000 Minnesota athletes who represent and promote the competitive yet always cordial, great game of curling. …and to encourage all curlers to enjoy the marvelous, unique facets of curling: honest sportsmanship, athletic competition, and social club recreation. All MCA member clubs are reminded of the annual membership meeting which this year will be Saturday, May 18, 2019, 10:00am – 1:00pm, at Four Seasons Curling Club in Blaine. Announcement emails have been sent to all member clubs along with the proposed Bylaw revisions which will be discussed and voted upon. The agenda and reports will be sent at the end of April. The St. Croix Curling Center completed its first year of operation after successful Fall and Winter Leagues (three Sunday draws) brought veteran and new curlers to the St. Mary’s Point ice arena in Lakeland. Plans for next year’s leagues and for an eventual dedicated club are ongoing. For more information, please visit SCCC. The United States Curling Association, in compliance with federal law, now participates in the SafeSport Program to raise awareness, institute prevention, and enact response measures regarding the intolerance of abuse or harassment of any kind. All Minnesota curling clubs are required to establish a protocol for SafeSport Training for their club membership and staff. Congratulations to our Minnesota curlers who will represent the United States at the World Senior Curling Championships in Stavanger, Norway, April 20 – 27. Duluth’s Kraus Rink wins Silver Medal at National Club Championships. Minnesota’s Tuma wins Gold; Olson team earns Bronze at U-18 Nationals. Congratulations to Minnesota curlers on the victorious Junior National Championship teams. Cold Granite Companies will be hosting the 1st Annual Vendor Conference at Four Seasons Curling Club in Blaine, August 8 – 11, 2019. The Conference will be open to the public with retail sales from all vendors from 6:00pm Friday, August 9th to 4:00pm Sunday, August 11th. The conference features major curling supply manufacturers and re-sellers as well as club equipment and software vendors, and a number of training and coaching-based businesses who will share knowledge of brooms, shoes, apparel, software, scrapers, stones, camps, all things curling. There will be keynote speakers as well as equipment testing and demos. For more information click HERE. 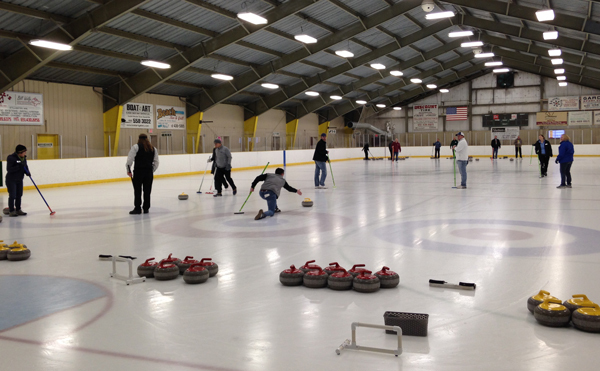 Enjoy combining summertime vacation or travel with a bonspiel in Minnesota, around the U.S., or in Canada. The World Curling Federation has implemented the five-rock free-guard zone (FGZ) rule this season, replacing the four-rock rule. Many Minnesota clubs will be enacting the rule to prepare curlers for state, national, and world competitions. The expanded rule means that the first five rocks thrown each end (normally the two rocks thrown by each lead and the first rock thrown by the second on the team without the hammer) are “protected” and cannot be removed from the FGZ between the hog line and the house until the sixth rock is thrown each end. If a rock is removed before that time, it is put back. It is permissible to move an opponent’s rock as long as it remains in play. MEN WIN GOLD AT WINTER OLYMPICS! 2018 Winter Olympics highlights from the World Curling Federation and the United States Curling Association. 2018 Winter Paralympics Men’s and Women’s teams finish fourth and fifth.